From Goodreads: Life. Death. And…Love? This novel completely blew my mind. It’s extremely well written and deals with a really tough topic; one I’d never even thought of before. Emma’s mother died while she was pregnant—legally brain dead, she can’t survive without machines. But without these machines, her unborn child doesn’t have a chance at survival. Faced with a difficult decision, Emma’s step-father, Dan, opts to keep his wife on life support in order to give his son a chance, but Emma doesn’t disagrees with his decisions wholeheartedly, believing his choice of a son over her mother means he’s more interested in having a legacy than doing what is right for her brain-dead mother, his wife. The novel opens exactly 30 days after Emma’s mother died, and our first meeting with Emma takes place in the hospital as she speaks with her mother, a task she adheres to every day alongside Dan, a man she’s steadily grown to hate over the past month. From the start, Emma’s pain is palpable, and I immediately found myself on Emma’s side–why would her step-father, Dan, keep Emma’s mother on a ventilator like that, forcing Emma to go see her deceased mother every day, when all Emma really wants is to be able to put her mother to rest, to gain some closure? Because let’s face it, there’s no closure when you still see the dead day after day. And then, Dan’s side came out, and while this really isn’t a story about sides at all, the idea that Dan wanted to keep a part of his wife, Emma’s mother, alive, to give his baby a fighting chance, makes sense too. So what do you do in a situation like this? This novel is raw and full of emotion, and I was cut in two as I read. I wanted to see the baby live, but I wanted Emma to obtain closure; I wanted Dan to understand where Emma was coming from, and I wanted Emma to understand why Dan made his choices. Scott treats this extremely delicate topic with care, and it’s so beautifully written. I was engulfed in the story from the get go, and it’s really a story of healing, while also bringing to light a topic I never knew existed. Interestingly enough, while reading this novel, this article popped up in my newsfeed: http://www.nbcnews.com/health/pregnant-woman-kept-alive-against-familys-wishes-texas-2D11792149. I guess I never realized the extent of this issue before, and it really opened my eyes about it. And it’s hard to take a side because there is so much at stake here. Do a parent’s wishes override that of an unborn child? Should the parents’ wishes matter? Should doctor’s do everything in their power to keep the unborn child alive? This is food for thought, and I absolutely loved this novel. Five stars. 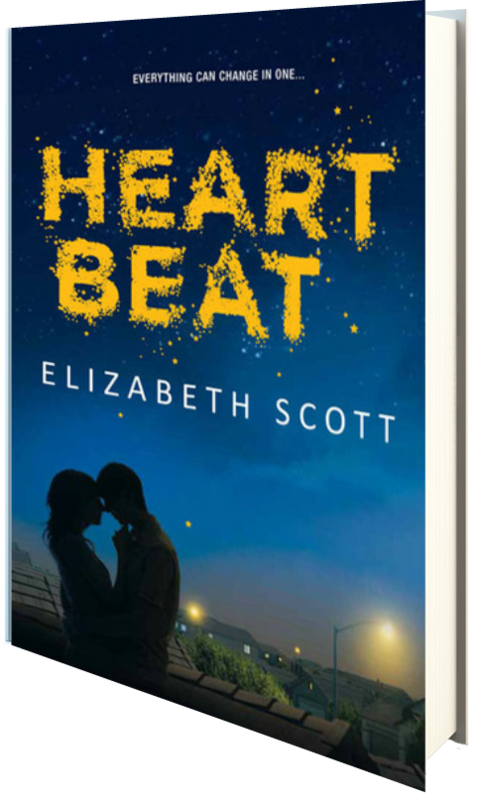 Harlequin TEEN has been extremely gracious in allowing me to read an ARC of this novel, via Netgalley, prior to its release on January 28,2 014.